Early in the New Year, I’m so busy with my work. I often use Korean sheet masks, but today, I put this sheet mask on my face. 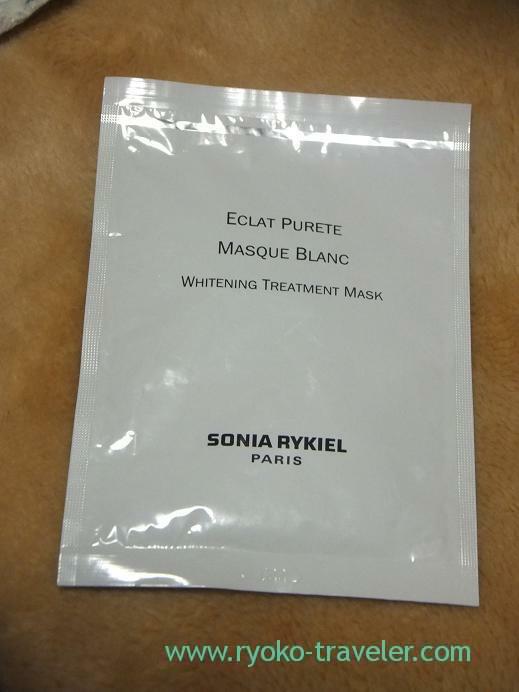 When I bought something at SONIA RYKIEL in ISETAN, I got it. It used to be sold, but the sale is already ended. Korean sheet masks are good (except its shapes :P) , and inexpensive. So I can use those sheet masks for everyday use. But when my skin is breaking out, it is better to use such a sheet mask that have a high quality ingredients. Well,,, I put sheet mask on my face for about 15 minutes, so it’s better for me that the sheet mask have good smell. Now Rykiel sells another sheet mask 🙂 I’ll try that soon.